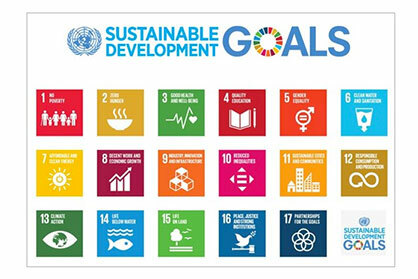 A new project aiming at raising awareness on the United Nations 17 Sustainable Development Goals among young people (below the age of 30): this is the ongoing initiative promoted by Global Young Voices (GYV) and supported by RadiciGroup. These weeks are crucial for the contest launched by Global Young Voices among projects, foundations, non-profit organizations or start-ups (already founded or in the process of being launched) run by young people who aim, through their work, to make one or more of the SDGs a reality. The winner will receive € 1,000 to be used to finance his or her initiative. All the submissions were screened and 21 projects have been selected by GYV and RadiciGroup. The competition ultimate judge is GYV’s audience. Global Young Voices considers Facebook as its most successful platform, attracting more than 63,000 followers. Therefore, the application receiving the largest number of likes (or any other positive emoticons) on Global Young Voices’ Facebook page will win the competition. Voting will be possible up until 30 September 2018.